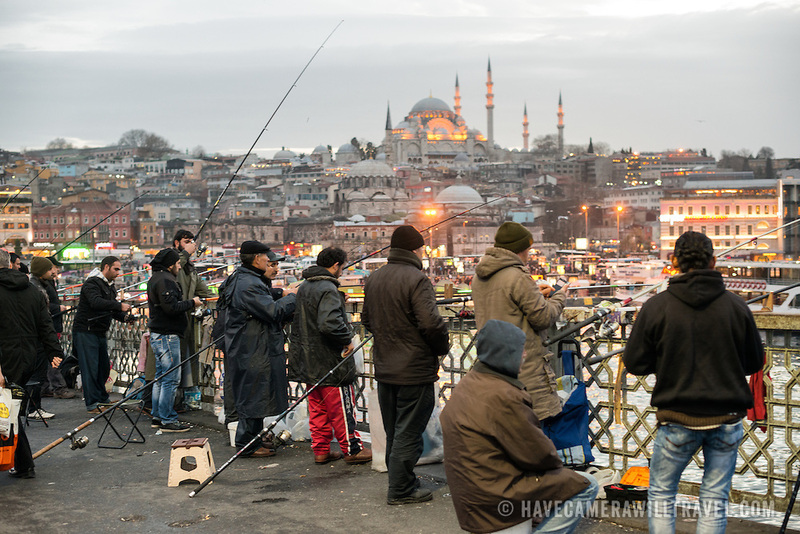 Fishermen line the edge of Galata Bridge with their lines over the side into the Golden Horn. Spanning the Golden Horn and linking Eminonu with Karakoy, the Galata Bridge is a dual-level bridge that handles road, tram, and pedestrian traffic on the top level with restaurants and bars on the level below. In the distance is Suleymaniye Mosque. © 2015 David Coleman. All rights reserved.